We go camping because we love being outside right? Then why do we zip ourselves into nylon boxes with no view once we get out there? In wet, bug-free conditions, nothing beats the comfy, spacious protection and wide-open views and ventilation of the MSR Twing Tarp. 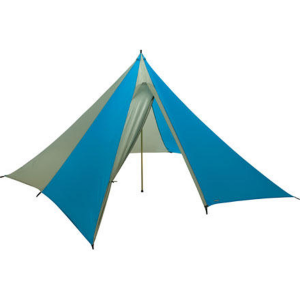 Providing 68 sq ft of space underneath for sleeping space and gear, this 2-person tarp sets up using 2 trekking poles and adjusts for a custom height depending on the weather conditions. When the wind is quiet and theres no rain or snow blowing around, pitch this tarp higher for protection that keeps the dew off and gives you lots of breathing room. 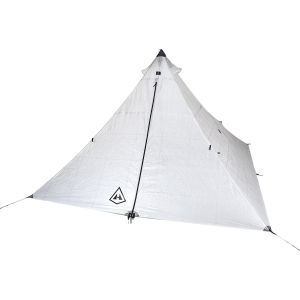 In gnarly weather pitch it lower with the side or tapered end facing the wind so you have the most protection and still have plenty of ventilation underneath. 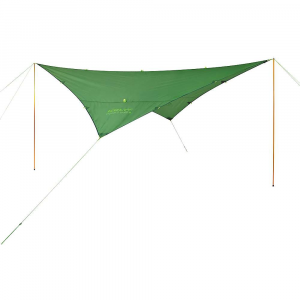 This ultralight shelter weighs less than 2 pounds thanks to no zippers, mesh or poles. Use this MSR tarp during all 3 seasons while backpacking or bring it with you on car camping adventures and youll be the talk of the campground with your ultra light style. 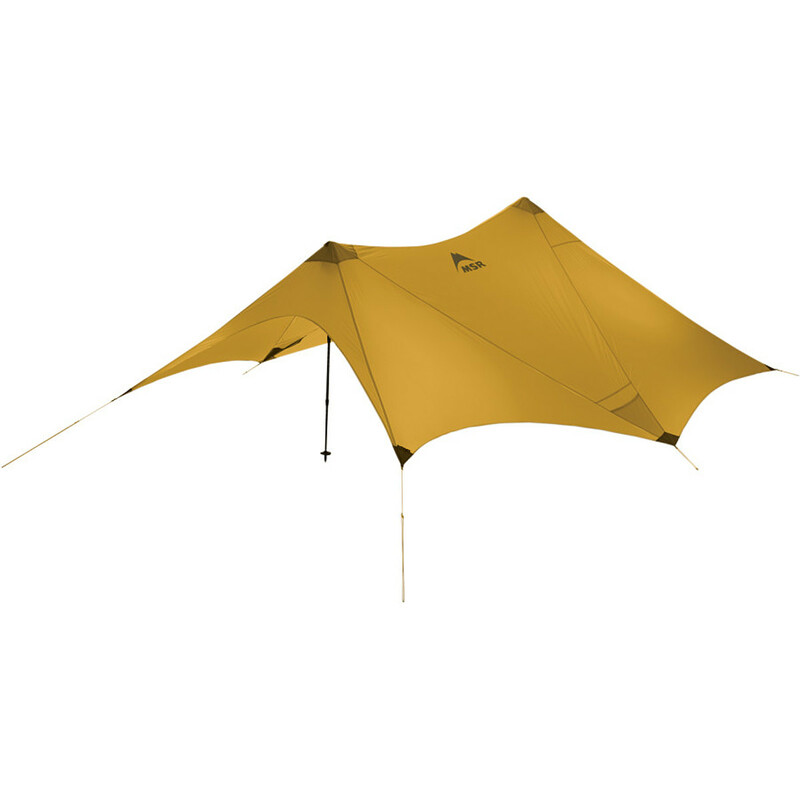 Split between two ultralight backpackers, the MSR TWing Tarp weighs less than 1lb per person, sets up with lightning speed, and offers well-ventilated shelter from the elements. An overall floor area of 68 square feet easily provides coverage for a pair of sleeping bags with room to spread out. At one end, the TWing tapers closer to the ground, while the other end remains slightly higher, allowing for cross-ventilation. 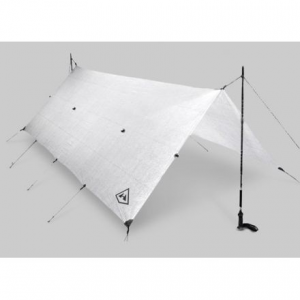 Hiking poles create the support for the two main peaks of this tarp, and even heavy rain rolls right off the tough, coated nylon body fabric. 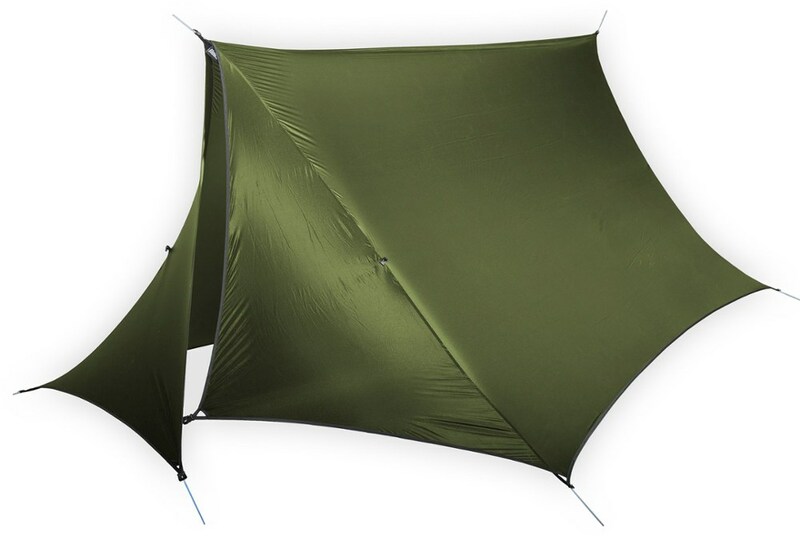 The airy, minimalist MSR Twing Shelter tarp offers weather and sun protection with tons of ventilation. The MSR Twing is not available from the stores we monitor. It was last seen January 9, 2018	at Backcountry.com.